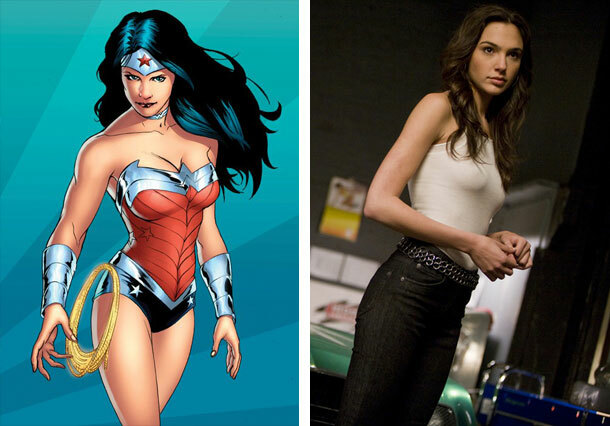 The new Wonder Woman for the next installment of Batman Vs Superman is Gal Gadot. She is an Israeli actress and model. She won the Miss Israel title in 2004 and went on to represent Israel at the 2004 Miss Universe beauty pageant. Gadot is known for her role as Gisele Harabo in three Fast and the Furious film series. As well as Knight and Day and Date night. She will be joining with Ben Affleck as Batman, and Henry Cavil as Superman in the next installment of Superman: Man of Steel. About time, I have been waiting for this for a long time to see Wonder Woman on the big screen soon and her super adventure too. And who is going to be her boyfriend will it be Batman or Superman? The first plot will be the love triangle between Superman, Wonder Woman and Batman and the main plot of the movie will be exciting and who ever writes the screen play. “Wonder Woman is arguably one of the most powerful female characters of all time and a fan favorite in the DC Universe,” Zack Snyder said, the director of the next Superman and Batman movie. “Not only is Gal an amazing actress, but she also has that magical quality that makes her perfect for the role. We look forward to audiences discovering Gal in the first feature-film incarnation of this beloved character.” Zack Snyder said. Returning casts are Amy Adams as Lois Lane, Laurence Fishburne as Perry White and Diane Lane as Martha Kent. The release will be in July 2015. So start waiting in line.